Disclaimer: It’s gonna be an update/hopefully inspiring/self indulgent post cause pohtecktoes gotta potate alright. It’s a little long, but useful stuff towards the end yup. It’s been a crazy year, and since it’s the time for 2015 New Year resolutions, I figured it’ll be a good opportunity to look back (2014 resolutions), reflect, and finally update everyone on what’s going on. Perhaps it’s because a lot has happened in the last year, it felt like years ago when I decided to leave my job towards the end of 2013. Leaving with no real solid plan other than a burning desire to start my own thing, was probably the craziest decision I’ve ever made. I thought the grass was greener on the other side, and simply wanted to travel longer and slower instead of rushing for fear of missing out due to limited travel time. In retrospect, it seemed a little reckless and stupid, but perhaps I just trusted myself enough to somehow work things out. 2014 was an incredibly difficult year. Close friends will know what an emotional roller coaster ride it had been. Between all the travels and happy stuff you see on social media, there were lots of pain and self doubt. There were plenty of almost there’s, tons of disappointments, and a lack of support from many closed ones who didn’t understand. Doing your own thing is tough, because not only do weekends and breaks cease to exist, you feel alone, and will constantly be questioning yourself. But at the end of it all, I’m really glad to have stepped out of my comfort zone into the unknown. I started the year just wanting to do things I would regret if I didn’t do them now, which included a lot of traveling. The idea is that the best time is now, and it would be difficult once I got too comfortable. Traveling has always been my respite, a way for me to learn, get inspired, and reconnect with the world. So for this space to begin opening doors, and become a part of my personal branding is personally quite unbelievable. It may not seem like it, but Pohtecktoes really only started in March 2014. Previously, it was just a space I decided to own as a collection of my personal thoughts/portfolio that only gets updated once/twice a month (if any at all). In fact, a good friend reminded me recently that this time last year, I was still whining about “what if no one reads”, when contemplating whether to start a travel blog. And now many months later, I’m glad that the efforts are starting to pay off. The best reward though, is receiving emails from random people about the stuff I’ve done or written. Screw the odd keyboard warriors, cause one nice email/comment is all it takes to fuel you on. It’s no big secret really. The simple answer is that I spend less on things I don’t need, travel on a budget (without being uncomfortable – read budget travel tips), leverage on opportunities, use my savings when necessary, and do freelance work (graphic design, wordpress websites, social media). The difficult answer is that I try to be disciplined and make a lot of sacrifices. I sacrifice play time to learn design, basic coding, and social media marketing on my own. I sacrifice shopping money for my travel fund and daily expenses. I sacrifice luxury travel to stretch my dollar during trips. And I sacrifice stability (temporarily) to pursue my dreams. It is uncomfortable and unsettling at times, but in the process, I feel that this was the push I needed to learn and feel alive again. In terms of dollars and cents, the freelance jobs have been getting better as I improve too. It has reached the point where I can finally have the flexibility and stability to limit my freelance hours (and still match an entry level graduate job) in order to free up time for doing my own thing. So what’s this vague doing my own thing that I’ve mentioned a couple of times already? Some of you may have heard, but I’m also working on two very exciting but different travel startups with my partners. Here’s a quick summary and if things go well, you’ll hear more of it in 2015! TripBolt is an online travel aggregator and planner. Simply said, we are trying to be the one stop portal for your travel planning, inspiration, and booking needs. Think google but purely for travel. It started from a problem we had because we found it a headache to visit so many different websites to plan a trip. So we are bringing together all the useful travel websites and services you have been using, presenting them in a super user friendly and relevant manner, and giving you the tools to make your trip happen. Current Progress: Internal testing for Phase 1 and initial VC discussions. This is more personal and passion driven. SPUR is an alternative travel agency that is all about traveling spontaneously in the moment. We believe that most of us are not tourists, but travellers at heart. So we wanted to bring that back, especially for the super busy ones. Through customized mystery trips + an offline travel companion (app), we want to SPUR others to experience the world, and chase excitement into the unknown. Current Progress: Planning an open call to friends who are willing to let us customise a mystery trip for them at cost. We have done one trial, improved on it and want to get more feedback! So lots of stuff will be ongoing, but where will I travel to next? The short answer is Koh Samui in Jan.
Will be heading to a beach resort to work with the one and only Jon YongFook on his new startup Inflowio. I’ve always wanted to learn from this famous digital nomad, so I jumped on the opportunity when he was looking for the greatest startup marketing intern. Very privileged to be one of the two interns he picked! Anyway it’ll be 3weeks of 4hr days, which leaves plenty of time for playing hard and working on other things as well. Keep a look out for updates! Incase you’re wondering about my initial entry video… hardsell and cheesy alert. Finally, here are a couple of stuff I picked up in the last incredible year. 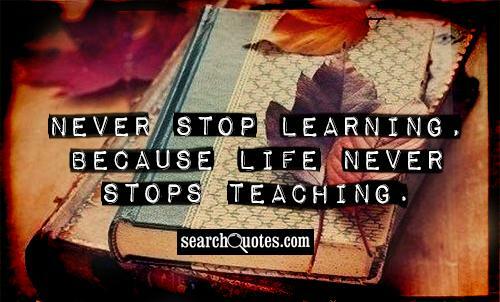 (1) Never stop learning, because life never stops teaching. Change is terrifying, but not changing in scarier. (2) Live with no regrets. In the end, we only regret the chances we didn’t take. (3) Travel in the moment because the best travel experiences happen when you least expect it, under the least likely of circumstances. It’s important to plan, but it’s more important to live in the present and not get too carried away by the past and future. So that’s it 2014. Thank you for the hard truths, lessons, and opportunities. It’s going to be a tough road ahead, but hey, what’s life without challenges. I quote a line from my favourite card this Christmas… “Life’s a wonderful ADVENTURE or a dull existence.” And I’m certainly not settling for existence. Have a smashing 2015 ahead friends. Make this one count. Oh yes… for the working folks, check out my 2015 cheat sheet to long weekend getaways in Singapore. Apparently it’s quite useful since it kind of went viral. Don’t know why I only read this now but very inspiring and happy and excited for u! Hey, I think your life sounds amazing and frankly I’m surprised there aren’t more comments here encouraging you. All the best to your 2015 (though I’m a bit late considering we’re in March) and, as a fellow traveler, I can’t wait until both your start-ups are up and running. Let me know if you need any help. Hey your story is very inspiring! It’s so cool to travel so care-freely. Do you usually stay in a single room in a backpackers hostel or share a room with other strangers?